If I look at my (not closable) closet, half of my coat collection are from Designers Remix by Charlotte Eskildsen. Her clothes are beyond brilliant or stunning. In fact, there aren’t enough words to describe her clothing. Yes, it is that good and I am that obsessed about it! 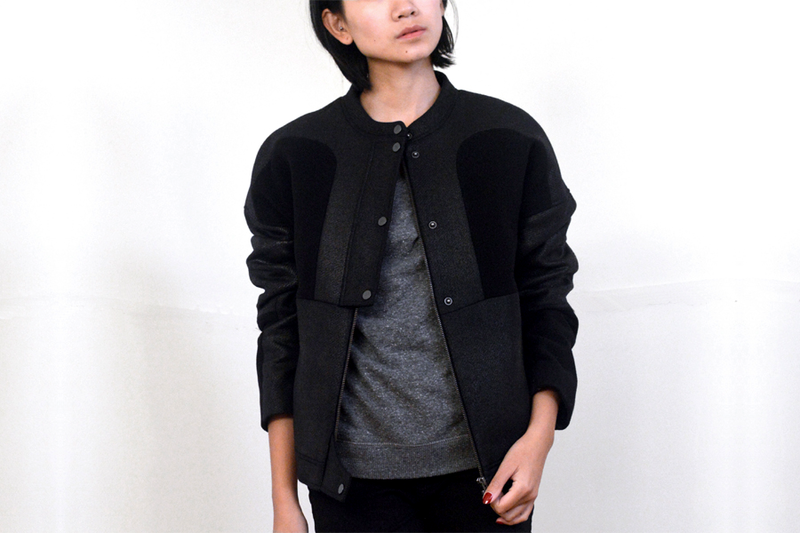 Today I am wearing this two textured bomber type of jacket. The black fabric actually has this sparkle look to it so it is not solid black. The two textures transforms this jacket from ordinary to fabulous. I’m going to let the jacket do the talking while I am gloating over it. You look amazing, love this jacket. So cool! You look amazing! That’s one banging bomber jacket!